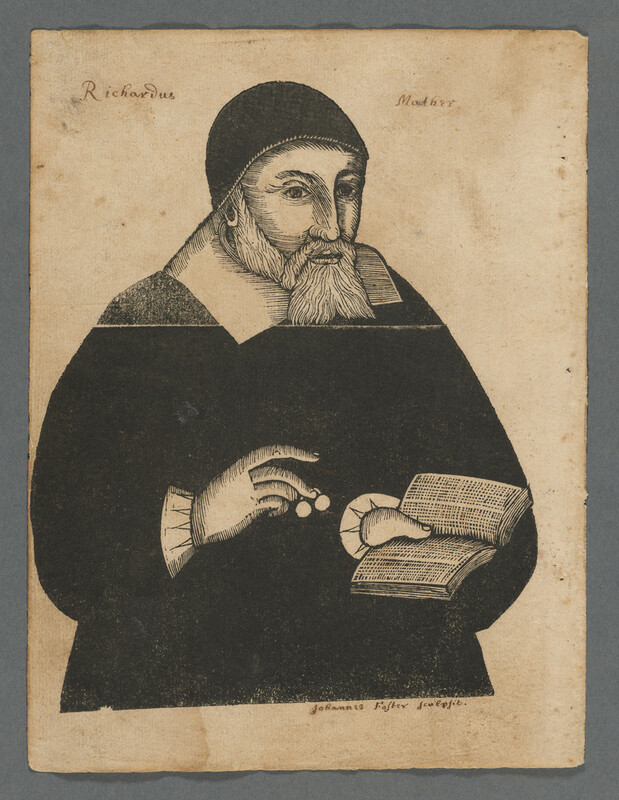 This is the first woodcut made in New England, and probably the earliest of the five impressions of the portrait that survive. The image was reproduced in a college textbook I used for a course on print history, taught by Charles D. Cutler at the University of Iowa in 1981. From its citation credit line, “By permission of the Houghton Library,” I first became aware of a great work of art and a great institution.